Before your listings can be Auto Ordered they need to be assigned to a supplier, e.g. Amazon. 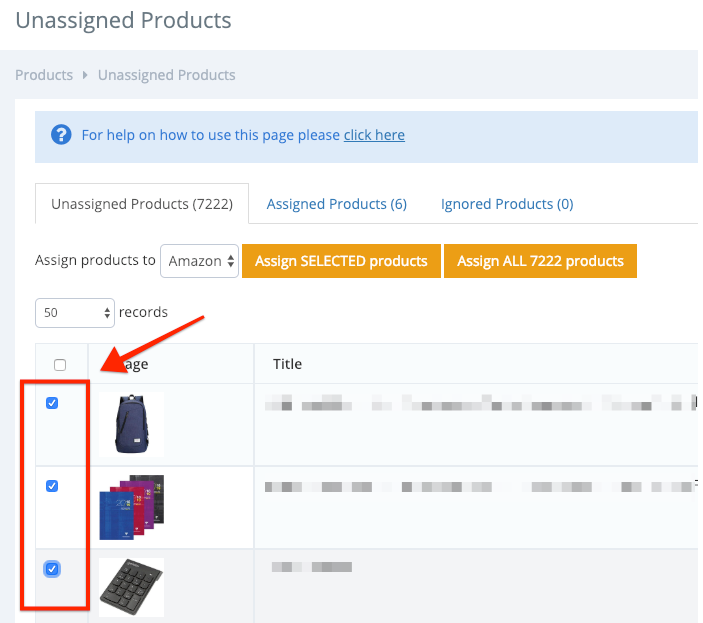 First navigate to the 'Unassigned Products' page within your Rapid Order account via PRODUCTS > UNASSIGNED PRODUCTS. You should see the products you have imported into Rapid Order on this page. If you don't see any products here, please complete the steps in this article first. 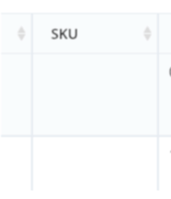 Important: If the SKU field is empty like the example below or if the SKU is not the real product SKU of the supplier then it means that your repricing software doesn't use the eBay custom label field to add the correct product SKU. Rapid Order uses that field to import the real Product SKU. If this is the case, you can export a CSV file from your repricing software and then update the SKU for all the products. This should be done BEFORE step 2 on this page. To learn how to do this, read this help article. Next, if you are using multiple suppliers then select the products which you would like to assign to a particular supplier by ticking the checkboxes. If you want to assign all your products to one supplier, you can skip this step. Once you have selected the products you would like to assign to a supplier, find the dropdown to select the supplier, as shown below. Click either of the two orange buttons, depending on whether you would like to assign all products at once or just selected products. Your product listings will now be moved to the "Assigned Products" tab and are ready to be auto ordered. You can click on the "Assigned Products Tab" to view them. Please note: Alternatively to assigning products to a supplier you can chose to ignore products if you want to exclude them from the auto ordering process. Click here to learn how to do this. TIP - AUTO ASSIGN PRODUCTS! If you want to automatically assign imported products to a specific supplier (e.g. Amazon) you can do so. Just follow this article to learn how.